An Arizona couple was arrested for child abuse after allegedly locking their adopted children in rooms without food, water or a bathroom, officials said. 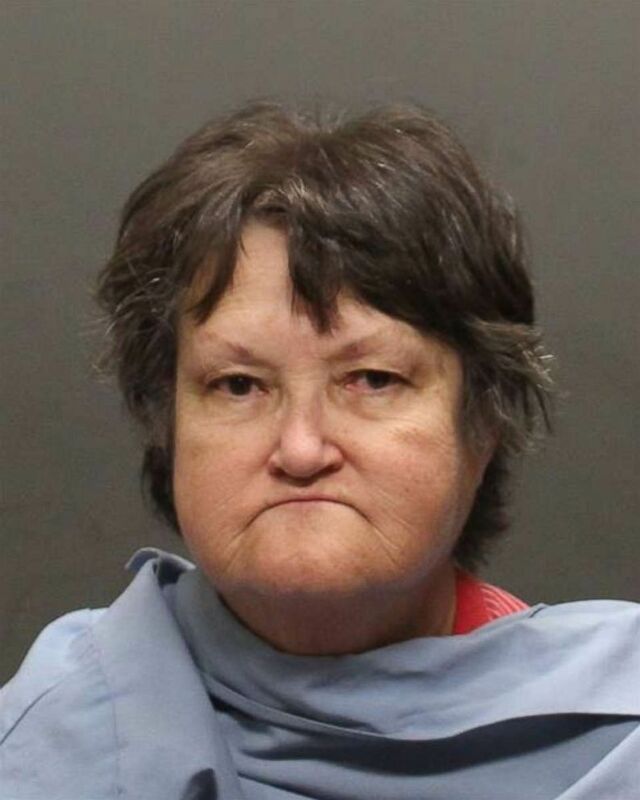 The investigation began Saturday when a boy in "disheveled condition" asked to use the phone at a Family Dollar store in Tucson, and the store clerk called 911 to report the suspicious activity, the Pima County Sheriff's Office said in a news release Tuesday. When deputies responded to the boy's home, they learned that four children, ages 6 to 12, were kept in separate bedrooms that were locked from the outside, the sheriff's office said. The sheriff's office said the children were regularly kept in their locked rooms for up to 12 hours at a time without access to food, water, a bathroom or lights. One bedroom had a bucket as a toilet, the sheriff's office said. The child who asked to use the Family Dollar store phone had escaped through a window at the home, according to the sheriff's office. 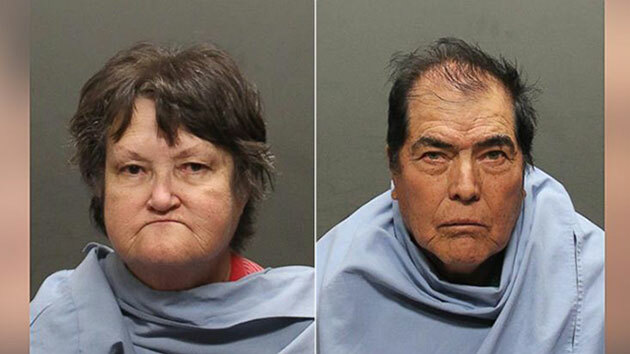 The other three children were removed from the home while the adoptive parents, Benito Gutierrez, 69, and Carol Gutierrez, 64, were arrested and each charged with three counts of child abuse, the sheriff's office said. Pima County Sheriffs OfficeCarol Gutierrez, 64, is pictured in this undated photo released by Pima County Sheriff's Office. 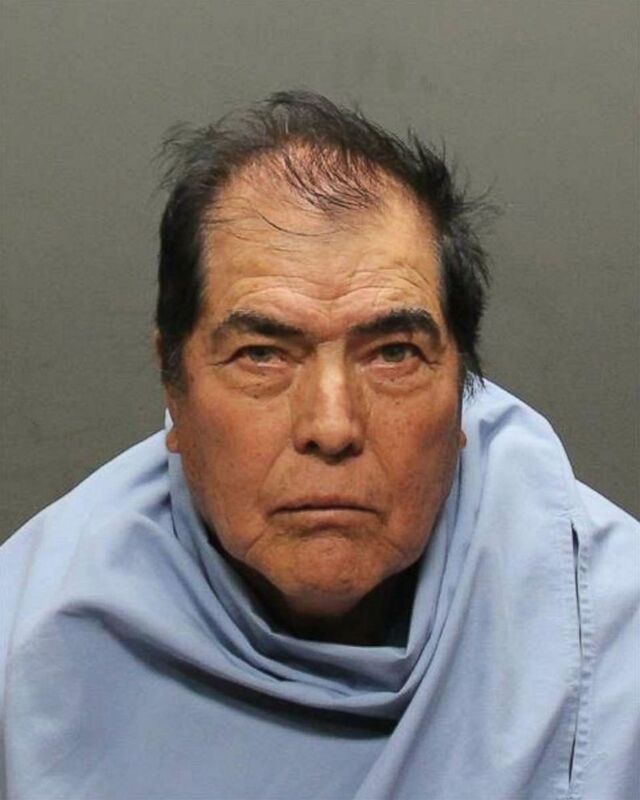 Pima County Sheriffs OfficeBenito Gutierrez, 69, is pictured in this undated photo released by Pima County Sheriff's Office. They made their first court appearance this morning and were held on $25,000 bond, reported ABC affiliate KGUN-TV in Tucson. They return to court March 5. Last month, two Southern California parents were arrested for allegedly holding their 13 children captive in their home. David and Louise Turpin allegedly forced the children to shower only once a year, shackled them and beat them routinely, prosecutors said. The victims weren't released from their chains even to go to the bathroom, according to prosecutors. They were arrested after the couple’s 17-year-old daughter escaped and alerted authorities.